The wildlife. India’s national parks offer an incredible diversity of fauna, enough to satisfy even the most discerning safari-goer. On display are the world’s largest wild population of Royal Bengal tiger, the one-horned rhinoceros, Asian elephants, black bear, leopards, buffalo, a whole array of primates and reptiles, and hundreds of bird species. My favorite park is Kaziranga in Assam, which boasts all of the aforementioned wildlife. 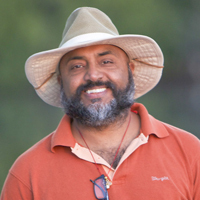 Other top tiger parks are Kanha, Bandavgarh, and Pench. The Taj hotel group now has four luxury lodges in different parks; these can be combined to create an excellent itinerary. For those with a more moderate budget, the five lodges by Pugdundee Safaris are a great option. Northeast India (the part of the country that is east of Bangladesh) is one of the least-visited regions of India, but it has an immense amount to offer: indigenous tribes, ancient temples, wildlife parks, pristine rivers, and high mountains. The seven sisters (as these seven states are known) have a cultural heritage and history completely different from the rest of India, as they were never ruled by the kings of Central, West or Northern India; even the British had a difficult time penetrating this region. 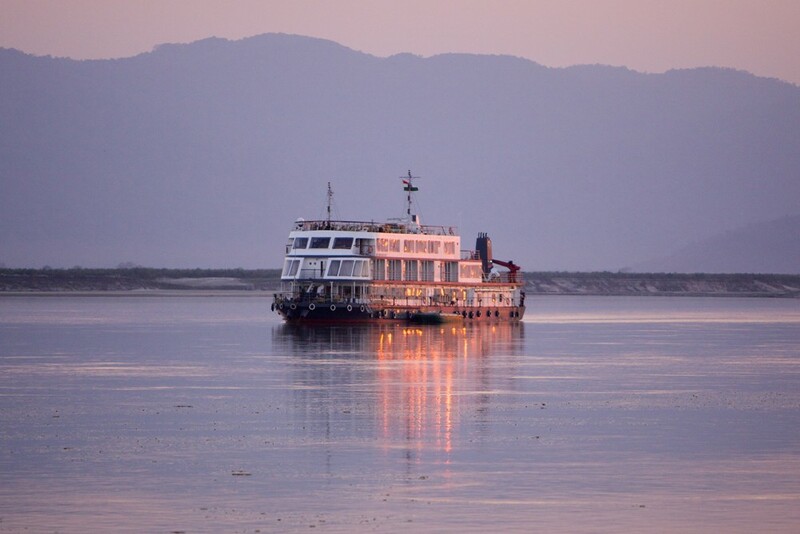 In the past, it was difficult to visit the northeast due to a lack of infrastructure, but that has changed with the Mahabaahu, a luxury cruise ship plying the Brahmaputra River. When my WendyPerrin.com clients book a standard cabin, they are automatically upgraded to a cabin with a balcony. A rickshaw ride through the narrow alleyways of the Chandni Chowk bazaar in Delhi. The drivers make a game of it, just barely missing cows, pedestrians, and the numerous wares displayed along the sidewalks; you’ll feel like you’re in a NASCAR race—but with monkeys clambering along the power lines. Bathing an elephant at one of the many elephant camps in Kerala. Sure, it’s hokey, but it’s a ton of fun. Be forewarned that you’ll get drenched when the elephant sprays you with a trunk full of water that comes out with the force of a fire hose. In Jodhpur, take a champagne tour of the Mehrangarh Fort at night with museum curator Mr. Karni Singh Jasol as your guide. You’ll start out on the ramparts to enjoy the sun setting over the “Blue City” down below, while the gates are closed to all other visitors. Then head inside, where Mr. Jasol can tell you the backstory of each item on display—the battle during which a particular breastplate was worn, or the robe stitched for a royal wedding. The curator has keys to every room and might possibly open up a few that aren’t normally shown to the public. By the time you emerge from the fort, the city is lit up to create a beautiful panorama. Enjoy a treatment at an Ayurvedic spa. Though ayurveda is really a holistic healing system, you can still get a taste of this ancient philosophy during a single session. The Jiva spas at the Taj group’s top-end hotels all maintain high standards of service. 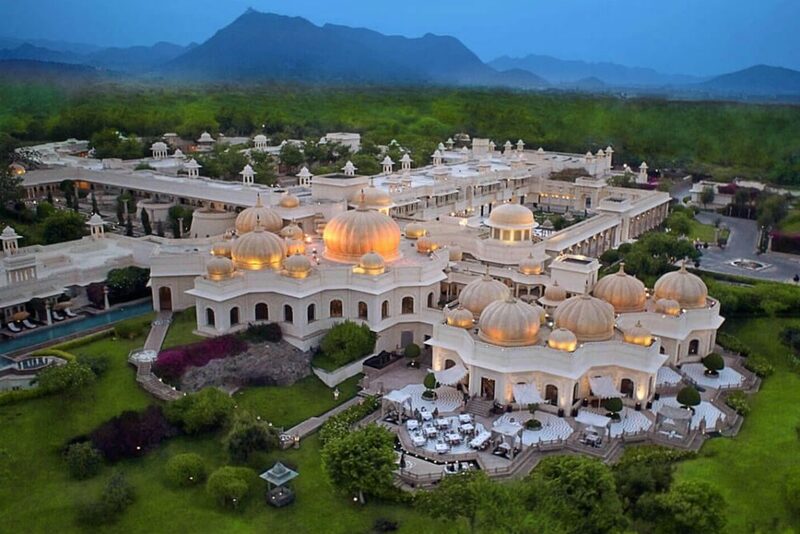 With new construction steeped in Indian architectural style and competitive rates at most properties, the Leela Group of hotels is set to challenge historic subcontinent mainstays Taj and Oberoi. The Leela Palace Udaipur, for instance, is built right on the shore of Lake Pichola, in the over-the-top style of latter-day maharajas. At this hotel and the Leela Palace New Delhi, the entry-level rooms are the best value. India is largely a land of vegetarians, so forget about your favorite butter chicken or lamb vindaloo. Vegetables there are cooked in so many different ways that you can have the same one on consecutive days and every dish will taste vastly different. Take, for example, bhindi (okra): There is sukhi bhindi (dry stuffed okra), bhindi piazza (stir-fried with onions and tomatoes), traditional bhindi curry (okra in gravy), baison bhindi (coated with chickpea flour and stir-fried) and bhuna bhindi (lightly roasted), to name just a few cooking styles. 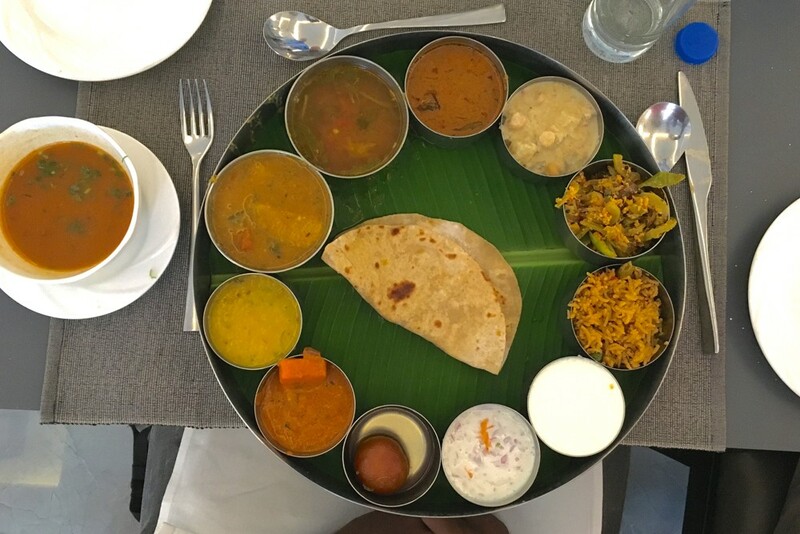 If you want to try several local specialties at once, order a “thali,” a full meal consisting of seven to ten small samples of different dishes, served with rice and roti or naan (a local flatbread). Sarson da Saag is a Punjabi favorite—finely chopped baby mustard leaves cooked with onions, ginger, and a host of other spices. Best eaten with makki ki roti, a cornmeal flatbread. You can find Biryani all over India, but if you haven’t had Hyderbadi biryani, then you haven’t had biryani. Meats are marinated and tenderized in yogurt and spices for a day or more before being cooked with rice. A perfectly cooked biryani will have fluffy, flavorful rice with tender chunks of meat or chicken. Galawati Kebab was traditionally made of minced mutton, though now one can find chicken preparations that are just as good, marinated in yogurt for that smooth texture. Lentils are, of course, the quintessential item on any Indian menu, but in Udaipur they make dal with a mix of four or more lentils, giving it a distinctive texture and taste. Bukhara, in Delhi’s ITC Maurya hotel, is a meat lover’s paradise, attracting wealthy Delhiites, Indian celebrities, and world leaders. Fashioned on the old Mughlai style of cooking, the dishes are what a king would have eaten while on a campaign and grilled over an open fire. Try the barra kebabs, squares of goat marinated in a yogurt-and-spice seasoning. For the finest seafood, go to Cochin. The Rice Boat, at the Taj Malabar, is built right on the edge of the water and designed as if it were an actual boat; big windows look out onto the harbor, a lovely view both by day and at night. Chef Rasheed’s special sea bass is prepared three different ways, all equally delicious. Malabar Junction, at the Malabar House boutique hotel, is perfect for a more intimate dinner (though be warned that it is in a courtyard, so there is no air conditioning). Chef Manoj fuses Indian and European cuisine; his artful prawn biryani is a subtler version of this dish, traditionally prepared with lamb. November through February is a good time for all of South India, Central India, and most of North India, except for the Himalaya mountain states. 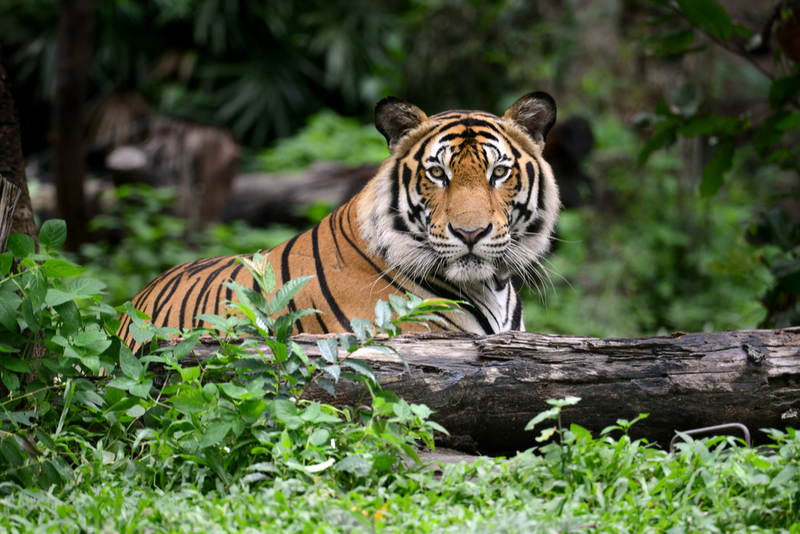 March through June are some of the hotter months in the central plains—which run from the Himalayas in the north to the hill country in the south—but it’s the best time for visiting the wildlife parks, especially the tiger reserves. Spring is also an excellent time for hikers, as many Himalayan trekking routes are open and the mountains (up to about 14,000 feet, at least) are covered with rhododendron blooms and other wildflowers. 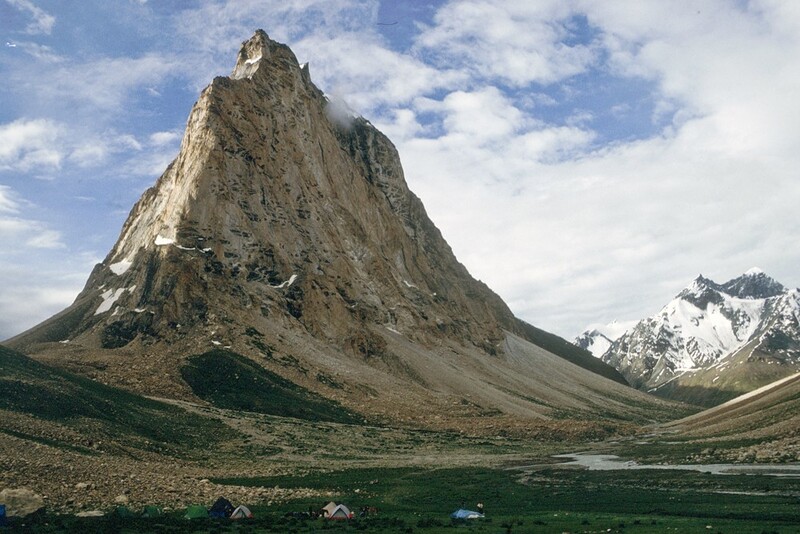 While June, July, and August fall during the monsoon season for most of India, it is the best time to visit Ladakh, which lies in the rain shadow of the great Himalaya and thus stays relatively dry. September and October are another good time for trekking, with clear skies and fall color in the Himalaya. 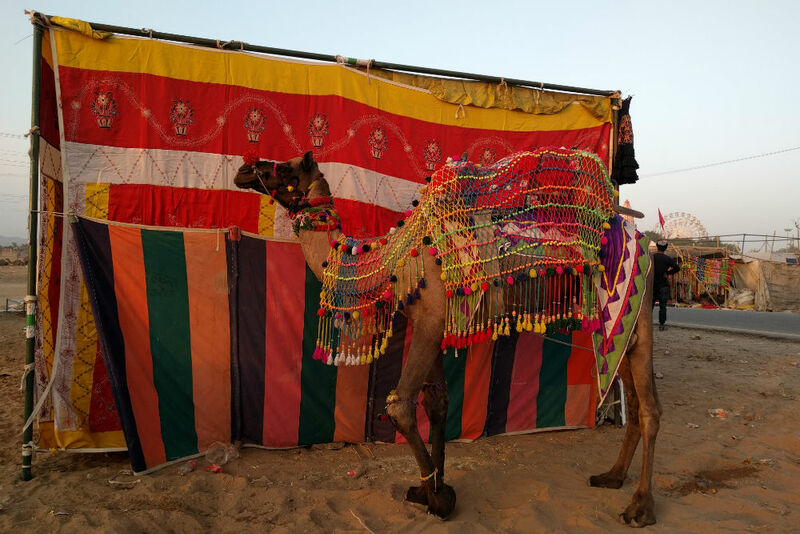 This is also when a number of important festivals take place in North India, including the Pushkar Camel Fair, Diwali, Dussera, and Durga puja. May through August: For a lot of people, the heat and the humidity brought about by the monsoon rains are too much to bear. Seeing Agra (home of the Taj Mahal) on a day trip from Delhi. Since they’re 100 miles apart, it’s possible—but not advisable. The drive takes four hours, so you reach Agra in the middle of the day, when the white marble of the Taj washes out in the bright sunlight. 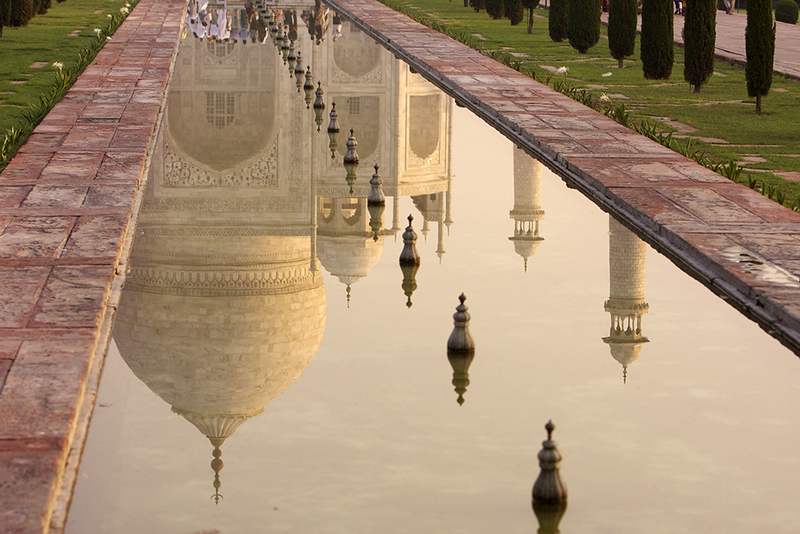 The Taj is best visited from late afternoon into sunset, and at sunrise. 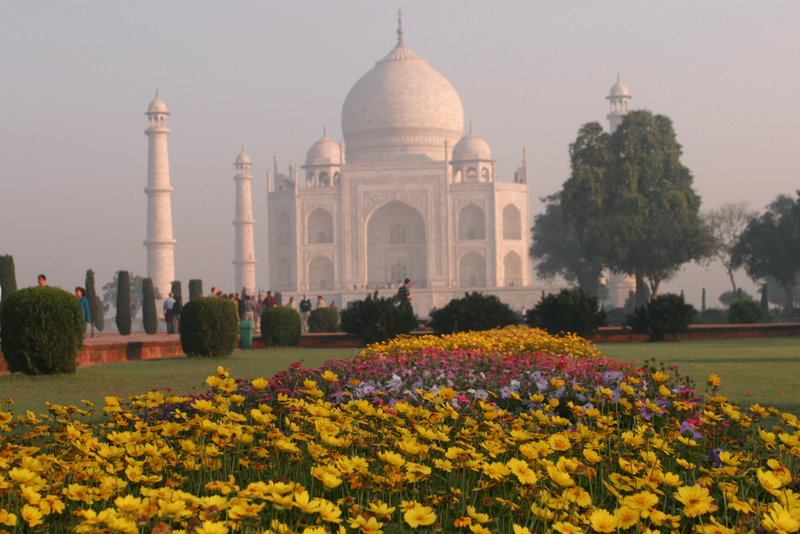 Moreover, Agra was the seat of the Mughal Empire for over 200 years and offers a lot more than just the famous Taj: There are three other UNESCO World Heritage monuments in the city, which can’t all be packed into a day’s visit. Devoting two full days is best, but even if you’re pressed for time, an overnight is a must in order to see the Taj at sunrise. Everyone goes to the Taj Mahal at sunset; few know to enjoy the better view from the Mitab Bagh, across the Yamuna River. From here, since you’re facing west, you can capture the Taj and the setting sun in the same photo. Kerala’s natural beauty makes it easy to get a great shot while cruising on a houseboat. A far cry from the busy cities of the subcontinent, here you’ll find only coconut palms silhouetted against the red sky of sunset. For a full view of the Himalaya without having to hike, head to Darjeeling or Mussorie. 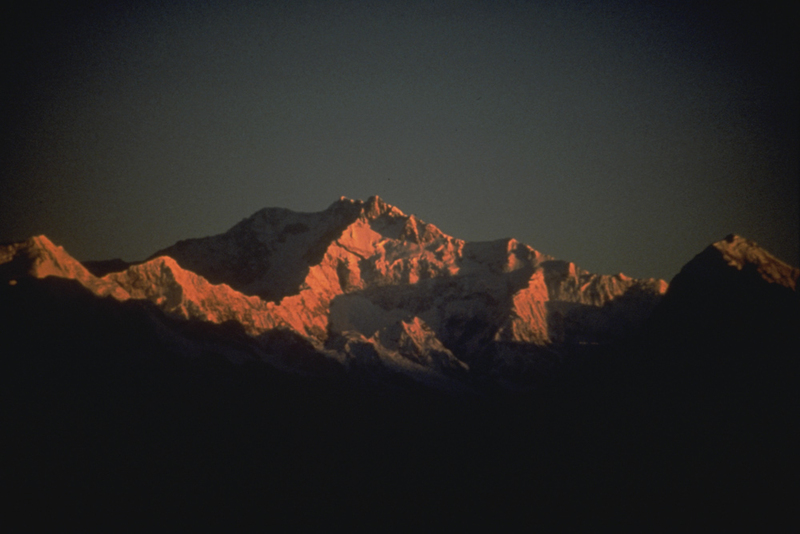 The peaks are often visible at sunrise, but over the course of the day the snow evaporates and forms clouds that usually obscure the summits by sunset. If you’d like to take a picture of a villager or tribal member (even one in a city or at a pilgrimage site), have your guide speak to them first to confirm that this is okay and perhaps establish a fee. It has happened more than once, all over the country, that an individual will smile and pose for a photo, then demand a lot of money in return—even getting aggressive if their demands aren’t met. City Maps and Walks now has a number of India cities in its portfolio. 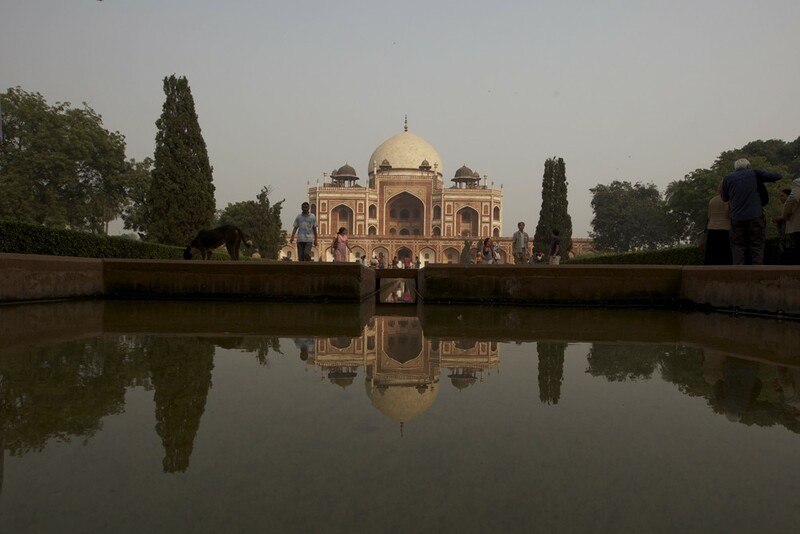 Some of the better self-guided walks are for Agra, Jaipur, and Mumbai. Don’t show up at the airport without a hard copy of your e-ticket, issued by a local travel agency or the airline, and a form of identification that exactly matches the name on the ticket. Without the hard copy, you will not even be allowed into the terminal. In restaurants, a 10% tip is fine, 15% is considered generous. Hotel porters should be given $1 per bag; metered taxi drivers do not expect a tip, so 5 to 10% will be appreciated. Sunscreen is surprisingly hard to find in India. Also bring some slippers or airplane socks for visiting religious shrines, where shoes are not allowed.